Mary Kausek’s playing has been described as "stunningly beautiful" and "gorgeous" and as having "great flair and expression" by ClevelandClassical.com’s Robert Rollin. Mary has performed with over fifteen professional orchestras, including the Cleveland Orchestra and the Buffalo Philharmonic. Ms. Kausek is the principal oboist of CityMusic Cleveland and the english horn player of the Youngstown and Firelands Symphony Orchestras. As the Fernand Gillet Fellow at the Tanglewood Music Center, she performed 7 world premieres in celebration of the TMC’s 75th year, including works by John Williams and Bright Sheng. Other summer engagements include performances with the National Repertory Orchestra and the Breckenridge Music Festival Orchestra. In 2012, she performed across Japan with members of the Philadelphia Orchestra, Chicago Symphony, and Vienna Philharmonic as a member of the Pacific Music Festival Orchestra. Ms. Kausek has earned degrees at the University of Texas at Austin and Cleveland Institute of Music, where she studied with Rebecca Henderson and Frank Rosenwein. 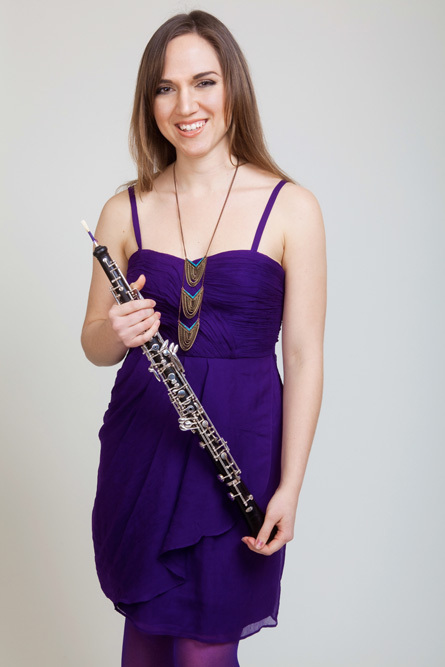 Her english horn playing has been highly influenced by the mentorship of Robert Walters. Mary has worked with such notable conductors as Fabio Luisi, Ludovic Morlot, Andris Nelsons, Michael Stern, Stephan Deneve, Michael Tilson Thomas, and Charles Dutoit. Ms. Kausek enjoys sharing the artistic capabilities of the oboe not only through performance but also through education. She is an enthusiastic and devoted educator and has teaching relationships with several schools throughout Northeast Ohio. In her spare time, Mary enjoys cooking and exploring the food culture in Cleveland. She is intrigued by the juncture of music and food, and in 2013/14 she collaborated with professional chefs from the International Culinary Arts and Sciences Institute to create a sold-out even which paired a five-course dinner menu with orchestral works performed live by a chamber orchestra.